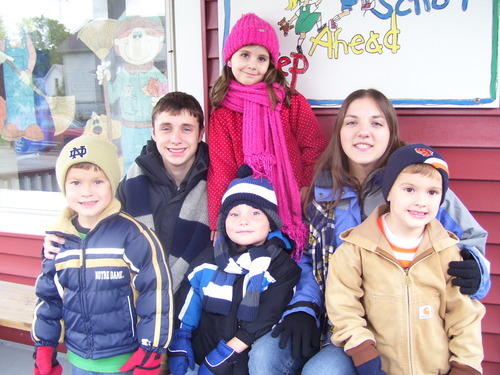 Your help is needed again this year to extend warmth and generosity to La Porte families. Cutler Funeral Home and Cremation Center is excited to kick-off the eleventh year of Bundle Up La Porte. We have been overwhelmed by the outpouring of donations every year and even more so by this important need in our community. Over the last 11 years, we have been fortunate to serve hundreds of families together with the help of this great community. None of the items donated go unused. Since its inception, Bundle UpLa Porte, has always been a community effort. This year is no different. Wewill be teaming up again with First Church of God, The PAX Center, other localchurches, and many other organizations and businesses such as the La PorteRotary Club, La Porte F.O.P #54, American Legion Auxiliary Post 1130, LocalLions Clubs, Fenker's Furniture, La Porte firefighters, knitting groups,as well as many other clubs and individuals. Now more than ever, your help isneeded with donations to protect our children during the cold wintermonths. There is a continued need for new or gently-used coats, hats,gloves, scarfs, boots, and new socks. We collect items for infant throughadult. 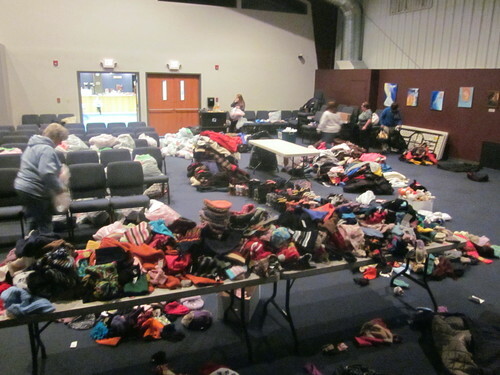 Drop-off locations are Cutler Funeral Home and Cremation Center, LaPorte City Fire Stations, First Impressions Hair Salon, IU Health La PorteHospital, Civic Auditorium, Miller Merry Manor La Porte, La Porte High School,Suds on State Laundromat, and participating local churches. Clothing and cash donations will be accepted now through November 3rd. Monetarydonations may be made out to Bundle Up La Porte and mailed to Cutler FuneralHome and Cremation Center, 2900 Monroe Street, La Porte, IN 46350. Alldonations are dedicated to this vital program. We need your help! Distribution will be held from 10AM -2 PM on Saturday, November 3rd at La Porte First Church of God,2020 East Lincolnway, La Porte. This will take place during the Living HopeEvent which will include, basic health screening, eye screening with the Lions Club,haircuts, blanket giveaway, manicures, and kids activities. We will also have asecond distribution from 4-6 PM on Thursday, November 8th at the PAX Center,605 Washington St, La Porte, IN. If you are in need and cannot make this date,please make arrangements to get items by contacting Amanda at Cutler FuneralHome and Cremation Center. For more information, or tovolunteer in making a positive difference with Bundle Up La Porte,contact Cutler Funeral Home and Cremation Center, (219) 362-2828, visit www.cutlercares.com or visit our facebook page. With yourhelp, together we can make a greater difference with assisting those inour community!